Pictured Jonck more than confirmed his tremendous pace. Jonck more than confirmed his tremendous pace. 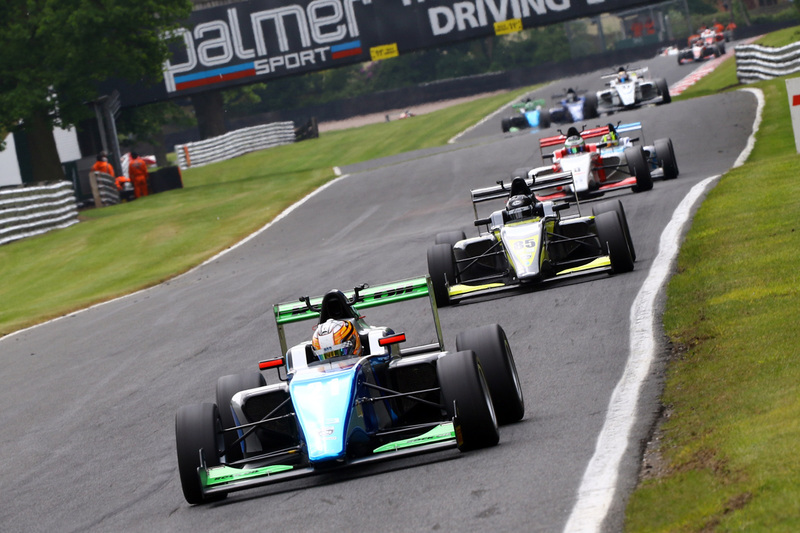 Danish racer Jan Jonck produced the best performance of his debut season in the BRDC British Formula 3 Championship, and by some margin, during the fourth event of the campaign at Oulton Park over Bank Holiday Weekend to secure a brace of highly competitive top five results for SWR. Showcasing his best form of the season from the outset in pre-event testing, the 17-year-old went on to deliver his first top four qualifying performance – a mere 0.2 seconds shy of the front row of the grid for the opening contest – before impressing greatly in all three races. Finishing fifth in a truncated round 10 on Saturday, 28th May, and matching that result in round 11 on Monday, 30th May, he added eighth place in round 12 to move to within just eight points of the coveted championship top 10. Jonck’s race pace was notable – in the opener he was just 0.1 seconds shy of podium performance and in race two he lapped 0.3 seconds faster than the eventual winner. Australian team-mate Thomas Maxwell once again extended his unbroken run of points scoring results for the Chipping Norton team, taking a best finish of ninth in the opening contest, while South African Eugene Denyssen just missed out on breaking into the top 10 in race two after a very evenly matched battle with team-mate Maxwell, ultimately taking a weekend best of 11th place. “It’s been a strong weekend for us and very pleasing from a performance point of view”, said SWR team owner Sean Walkinshaw, “With Jan racing consistently in the top five, it showed the car is good and pace-wise we were a match for the podium so that’s very positive. Jonck really did impress in qualifying, producing a best time of 1m30.838 seconds (106.68mph) to lap fourth quickest just 0.016 seconds shy of third on the grid for round 10. Maxwell only just missed out on the top 10 in qualifying by a mere 0.001 seconds and Denyssen was just 0.1 seconds further adrift in 12th position to underline how competitive the session was. At the start of the race Jonck held position initially but was edged back to fifth on lap one, although remained close behind the lead quartet. 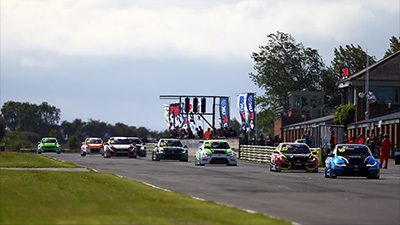 Staying within a second of the top four, the gap did spread out slightly more as the race entered lap seven before the red flags were shown following a dramatic accident at Cascades involving Ameya Vaidyanathan and Sisa Ngebulana. Maxwell ran just outside the top 10 prior to the stoppage, holding 11th place for the duration, while Denyssen was 15th after slipping back on lap one. 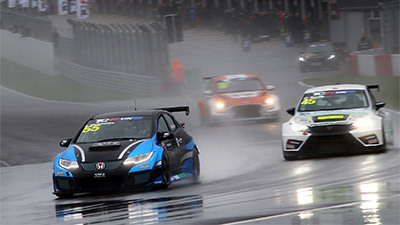 Race officials hoped to restart the contest later in the day but there wasn’t sufficient time, so a result was declared from the end of lap six with Maxwell classified ninth and Denyssen 13th, at the expense of Vaidyanathan and Ngebulana. Jonck more than confirmed his tremendous pace in the first of Bank Holiday Monday’s two outings, the Dane only missing out on a maiden podium by 0.8 seconds. Starting round 11 from fourth on the grid, Jonck held position on the opening lap but slipped behind Matheus Leist on the second tour. For the remainder of the 14 lap contest there was hardly anything to separate second place back to sixth with the SWR racer never more than a few tenths of a second behind Leist. Setting fastest lap pace early on, he took the flag in fifth glued to the rear of the Brazilian’s car. Team-mates Maxwell and Denyssen spent almost the entire duration nose-to-tail, only 0.4 seconds splitting them at the chequered flag. From ninth on the grid Maxwell was edged back to 10th place on the first lap while Denyssen, conversely, leapt up into 11th position from 13th spot. 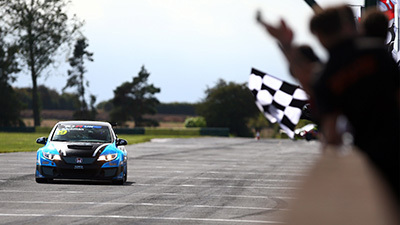 Thereafter, the SWR duo circulated with near identical lap times and Denyssen applied more and more pressure as the contest entered its closing stages. Maxwell, though, didn’t put a wheel wrong as he held on to his top 10 placing by the slimmest of margins. Jonck started the final race of the weekend fifth on the grid but didn’t get the launch he wanted, slipping to eighth place. He then spent the remainder of the race staring at the gearbox of Toby Sowery’s car, just a few tenths between them throughout the contest. Maxwell moved up into 13th position on lap one, gaining one place on his starting slot, and pressured the car ahead throughout the first half of the race. The breakthrough came on lap eight when his rival succumbed so Maxwell moved into the top 12 where he stayed to the chequered flag. 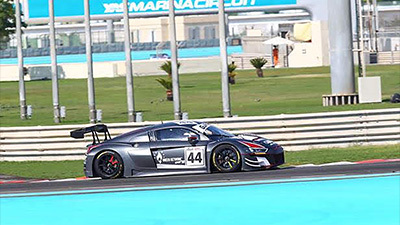 From 16th position, Denyssen was edged back a couple of places over the course of the first four laps and race-long pressure on Faisal Al Zubair finally told on the last lap when the Omani slipped back, enabling Denyssen to claim 17th position. 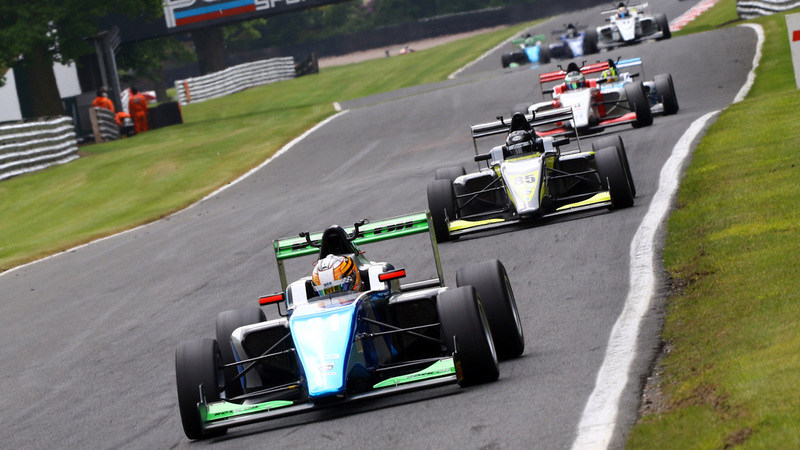 There is just a fortnight to wait until the fifth event of the BRDC British Formula 3 season, at SWR’s ‘home’ track Silverstone Grand Prix Circuit, over the weekend 11th/12th June.